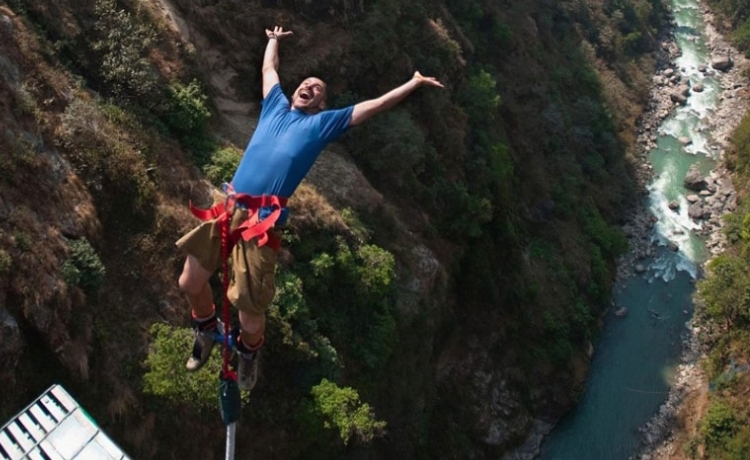 The ultimate thrill of a Bungee Jumping can be experienced in Nepal at one of the best sites in the world. Nepal’s bungee jumping site is situated 160 meters over the wild river Bhotekoshi. The site is located close to the Nepal Tibet border at Barabise and is a three hour bus ride from Kathmandu. A package deal includes the jump, bus ride to the site, and even meals. The journey begins from Kathmandu to The Last Resort, at Bhotekoshi by Araniko Highway. It is 100 km east from Kathmandu and takes 3 hours to reach there. The place is just 12 km before the Tibetan border. It is full of natural beauty, the gorges made by Bhotekoshi River. The steel made suspension bridge is over the Bhotekoshi River, privately made by the Swiss Investment. People used to walk about 5 hours to cross this gorge before it was made. 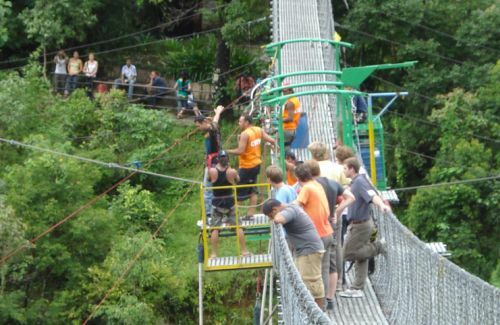 The bridge has been designed for bungee jumping purpose keeping in mind for safety. It can hold about 4 tons weight. Bungee Jumping at Bhotekoshi offers golden opportunity to experience adventurous activity there. Besides bungee jumping, if anyone would like to extend the program Himkala Adventure can give the best package of canyonning, river rafting and so on.